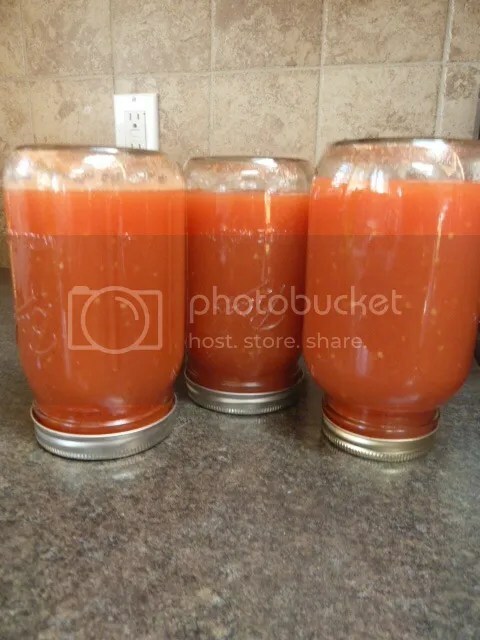 My tomatoes are growing faster then I can use them, So I tried making my own tomato juice and I will say I couldn’t be happier with the results. 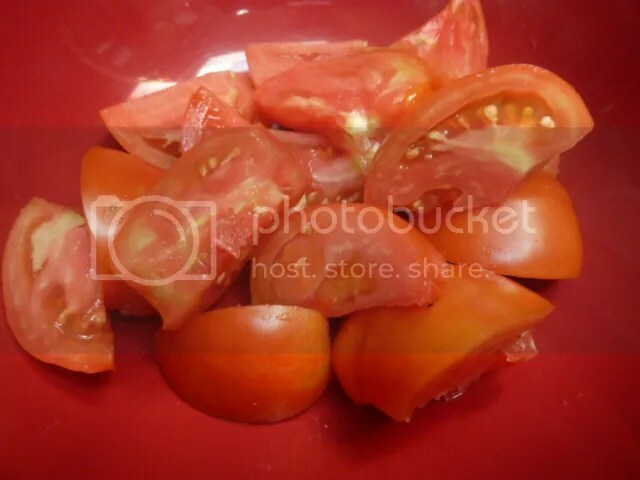 Wash and core all tomatoes and cut into fourths. 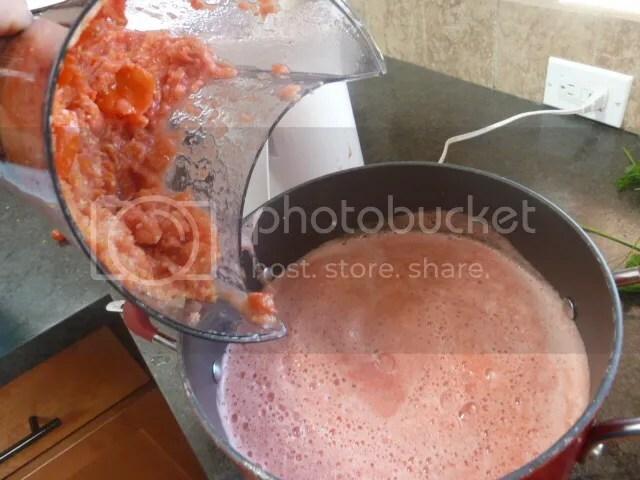 Using a juicer, juice tomatoes and mix with pulp. 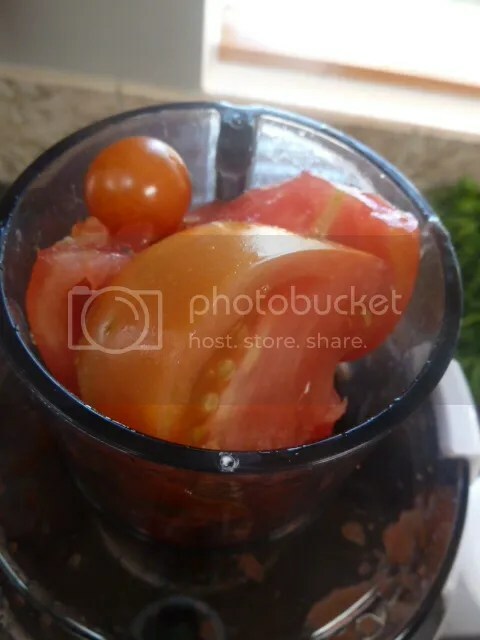 I because the skin does not taste that great of the tomatoes I used a sieve and that is how I removed it. 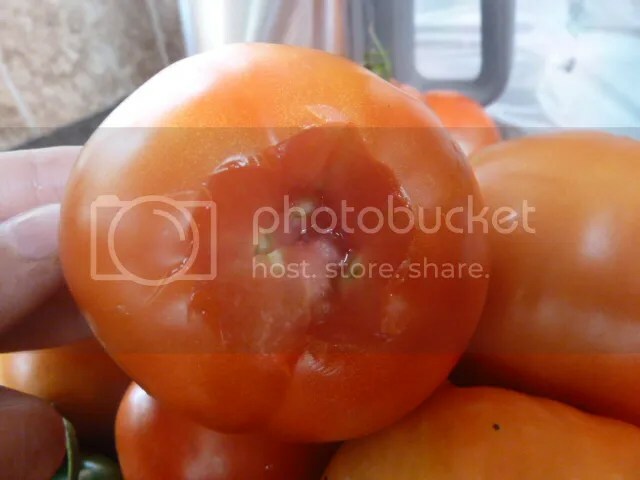 You can also peel the skin beforehand, by cutting a X on the tomato and dunking them into hot water for 10 seconds and then into ice water. 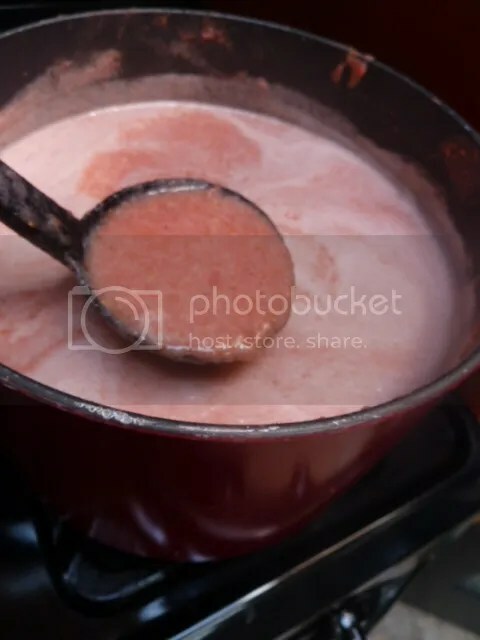 Bring juice to a boil and turn down heat so it simmers add salt and pepper and let simmer 20 minutes. 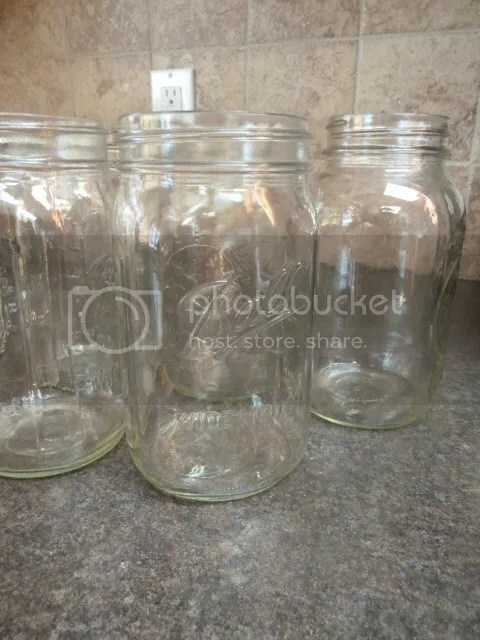 Fill jars leaving 1/2 inch space. 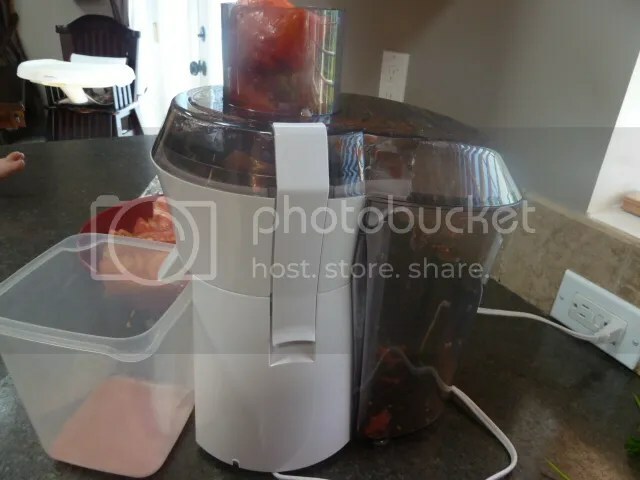 Close lid tightly and store upside down until cool to touch. 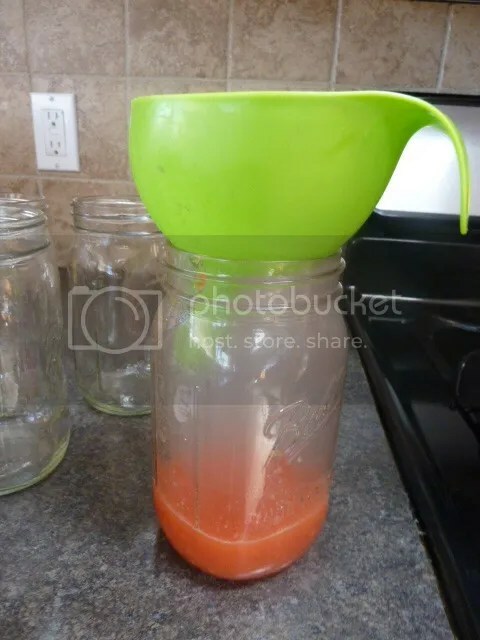 Make sure the lid is not bouncy if it does not move it means the lid is tight and secure. Ball Regular Mouth Jars – 8 oz. – 24 pk. 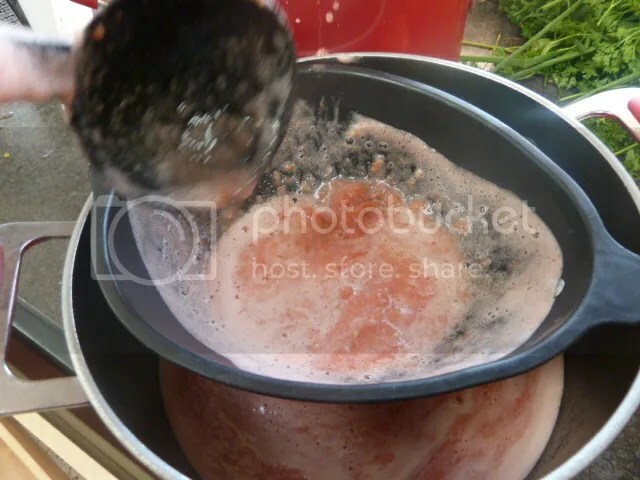 – Tools & Accessories (Google Affiliate Ad)Store in cool dry place, Enjoy cold. Makes 5 16 oz cans.